Over 6,000 certified public accountants assessed the tax prep applications they used to prepare year 2011 tax returns, indicating what they did and did not appreciate about their tax software in a recent survey by the AICPA. This year, the tax software survey also examined newer methods of utilizing tax software, finding that cloud computing, while not yet proliferate, is a distinct relative shift among tax return preparers. For 2012, the survey examined respondents’ adoption of new trends in technology, such as cloud computing. Cloud computing has achieved common phenomenon status outside the field of tax prep software, both in consumer software applications and in business. This year 10% of respondents indicated that they have already embraced cloud computing for tax prep software, showing how rapidly the cloud-computing model is becoming the status quo. It was not long past that many tax practitioners would refuse to prepare returns on computers that were connected to the Web,for fear that the data would be compromised. In a related question, an important segment of respondents (41% of those answering the question) indicated they are interested in having their tax prep application available on a tablet device such as iPad. Asked if they have a virtual office, however, only 19% of respondents answering that question said yes, suggesting that most tax preparation work is still performed in a traditional setting of a business office rather than remotely. Client portals also showed little reported use, with only a little more than one-third of the respondents who answered that question saying they offered one in the latest tax season. 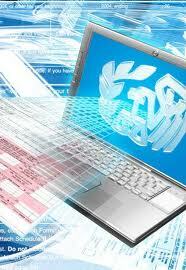 What users like about their tax prep software also showed a similar profile to previous years. For ease of use, ProSeries got the highest rating, with 48% picking that as the software’s best-liked feature. TurboTax and Lacerte were close behind. TaxACT, Drake, and TaxWorks users were particularly positive about their software’s price. Budget-conscious CPAs gave all three of the most-used products low marks for price: Lacerte users found little else to dislike about the software, but nearly 58% faulted its cost. Similarly, despite being generally pleased with the software, nearly a majority of UltraTax users disliked its price, as did 43% of ProSystem fx users. Few respondents were notably displeased about other aspects of any of the products, although 30% of GoSystem users reported ease of use as its least-liked feature, up from 25% last year. While price was the most chosen least-liked feature overall (37%), that was down from nearly 42% last year. The increase in overall satisfaction with tax prep software’s price may reflect the increase in the use of lower-priced software packages among respondents.